So, Mr Huss, how were the waters in Norway? Well, as you can imagine they were very cold – didn’t go as far as the Baltic Sea though because the waters are far too brackish for my liking. When you say home, you’re talking about British coastal waters, right? Yeah, glad to back in British waters. There are a lot more rocky shores for me to explore. You know what we’re like – weekends aren’t the same without turning over a few rocks. There’s so many spots in and around the English Channel that I like to swim by. If it’s been a long week and the anglers are getting on top of me, there’s some great 60-meter depths I like to visit on the South West of Ireland. I knew this would come up, but I’m glad you’ve mentioned it. Us bull huss’s have nothing against the dogfish species, we’re just getting tired of being mistaken for them. You wouldn’t believe the amount of awkward encounters I’ve had with whales who have thought they were getting a tasty meal – when in reality they had me clearly pointing out that I’m a bull huss not a dogfish. Oh, so dogfish predators are confusing you with dogfish? Yes. Not to mention the “pest reputation” we’re getting from those humans above the waves – no offence. I have larger spots and not as many. So, how is it hard to keep getting me so confused with a dogfish?! We’re glad to hear the splash caused with Mr Dogfish wasn’t that serious. So, what’s up next, anything coming up? Lots coming up actually! After this I’m taking a swim through the Devon and Cornwall waters, nice shallow areas there. Plus, me and Mrs Huss are expecting, so want to make sure the mermaids’ purses are all okay. 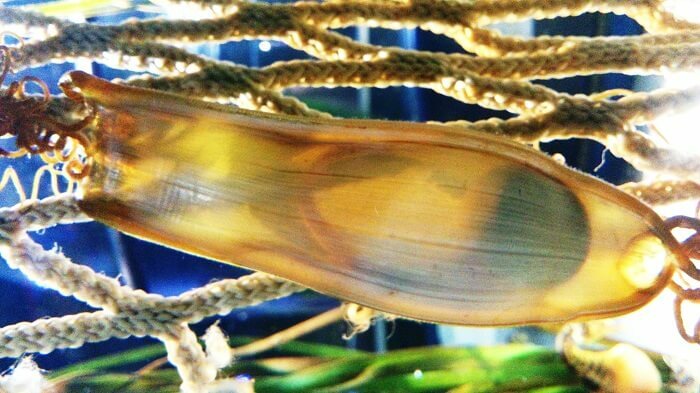 I’ll probably be in those waters for 6-11 months – depends when the little ones decide to swim on out of the egg cases. That’s amazing news, congratulations! How is Mrs Huss? Thanks, thanks – means a lot. She’s doing good, tired – you know what it’s like giving birth to a number of baby bull huss’s, it’s not easy. Mrs Huss has found a lovely little patch of seaweed to attach the mermaid purses to. I’ve still yet to check it out, but I trust the seaweed to be firm enough to grip the four corners of the purse. We won’t keep you away from the family any longer Mr Huss! Thank you for swimming over to see us. Please before you go help yourself to the snacks we’ve brought in for you. Well, there you have it! We survived when we brought up the dogfish, Mr Huss is having a family, and he’s certainly got a soft spot for those rocky seabeds. Don’t forget Mr Huss is making a guest appearance, so make sure you come and see him before he heads back to Devon and Cornwall. Are you following us on Facebook and Twitter? Well, you should be because that’s where we share all our juicy gossip from beneath the waves!